Parents who share child custody generally make decisions with the best interests of their child in mind, but this intent does not mean both parents see eye-to-eye. Countless decisions will have to be made about the child’s wellbeing and development over the years, especially as it concerns the child’s health and medical care. Children, as they are developing an immune system, are more susceptible to contracting viruses and bacterial infections, meaning more trips to the doctor and regular worry about acquiring a new illness. Vaccinations are a standard part of the protocol the medical establishment wants parents to follow, with the intent that vaccinating their child against well-known and potentially deadly diseases will stop their transmission and support the general health of all children. 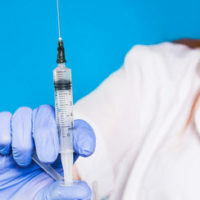 Significant controversy over the long-term safety of vaccinations has emerged in recent years, and some parents are now choosing to forego this treatment. Further, deciding any type of medical treatment for a child often involves weighing a number of factors that can lead parents to disagree about the best approach. Medical treatment is central to a child’s welfare, and a discussion of how this responsibility is allocated between parents, as well as the typical outcomes when courts confront this issue, will follow below. Sharing responsibility for a child following divorce or separation includes both the exercise of parenting time and the authority to make important decisions affecting the child’s life. Florida favors both parents contributing to each area of responsibility to promote the goal of having each parent play a significant role in the child’s life. However, ultimately the child’s best interests will control how this authority is divided. Unlike parenting time, because it directly affects the cohesion of the parent/child relationship, having the right to exercise decision-making powers is not as integral to maintaining a connection with the child. Thus, when disagreements arise over whether to provide a kind of medical treatment, court intervention is usually needed to resolve the conflict. Usually, one parent is given authority to have the final say on the particular point of disagreement, or he/she may receive sole rights to make all decisions on the child’s behalf. How a judge may view a conflict over medical treatment for the child will depend on a few factors. First and foremost, is the procedure elective or necessary, and secondly, is the disagreement a reflection of religious beliefs or scientifically-derived safety concerns? The analysis of this issue will primarily focus on the potential harm to the child if the treatment is received or withheld. Elective procedures are unlikely to convince a court to rule in favor of a parent pushing for this medical care since it is not tied to maintaining the child’s health. Further, and complicating this determination in many cases, is the influence of religion in the parent’s stance. Freedom of religion, including the right to adhere to certain beliefs regarding one’s child, is an important right in this country. However, courts have ruled that if withholding medical treatment would endanger the life of the child, the best interests of the child must trump religion and allow the other parent to consent to the medical care. Finally, the court will expect to see presentations of substantial medical evidence that supports the position of each parent, which is often a big component in the final decision. Since these cases can vary on a case-by-case basis, working with a family law attorney is important to getting the right result. If you have concerns about your child’s medical treatment, and cannot find a place of compromise with your ex, talk to the experienced timesharing attorneys at the Donna Hung Law Group about your rights. Medical care is a big part of parenting, and a decision in either direction can have significant consequences. The attorneys at the Donna Hung Law Group understand what is at stake, and is available to discuss the facts of your case. 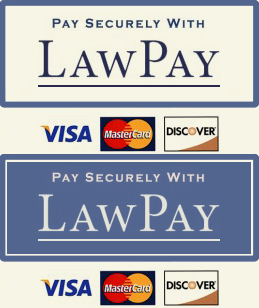 Contact the Orlando law firm at (407) 999-0077 for a consultation.